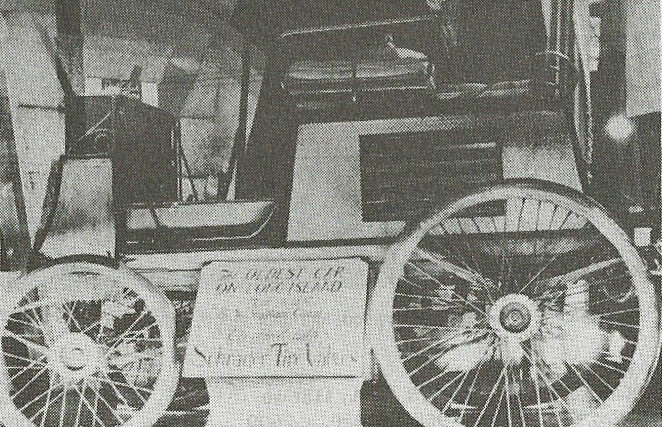 For whatever reason, and probably it was lack of financing, the Grant was never produced, though it was exhibited for a number of years thereafter as the "The Oldest Car on Long Island." Its whereabouts today is not known. Does anyone know what happened to the Grant? The carriage work for the Grant was done by Flandrau & Co. of Broome Street, Manhattan. The 8-HP gasoline motor was invented by W. Wallace Grant and built by E.W. Bliss Company of Brooklyn. 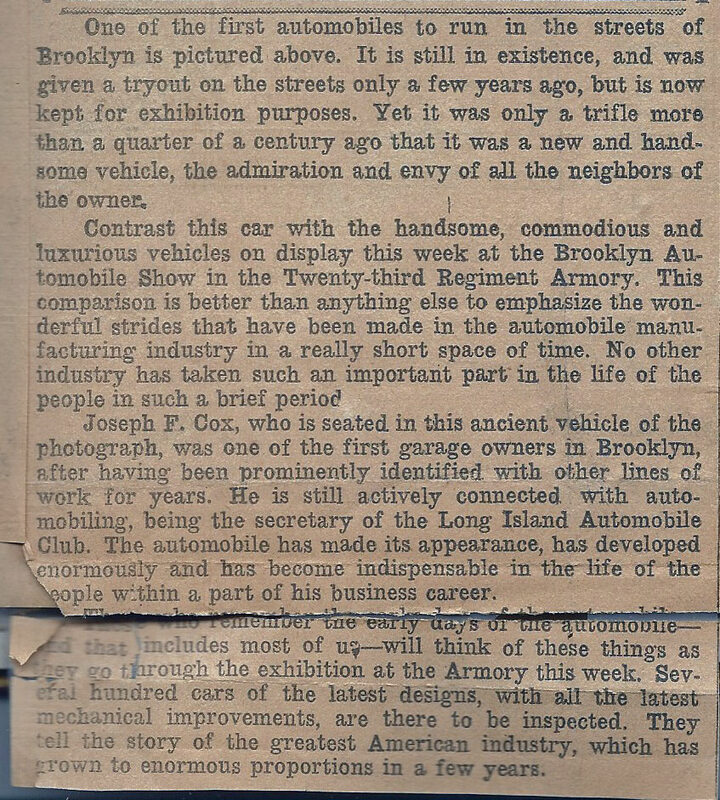 In 1902, W. Wallace Grant was the president of the Long Island Automobile Cub based in Brooklyn. The contest to disclose the oldest car on Long Island will close on Monday. 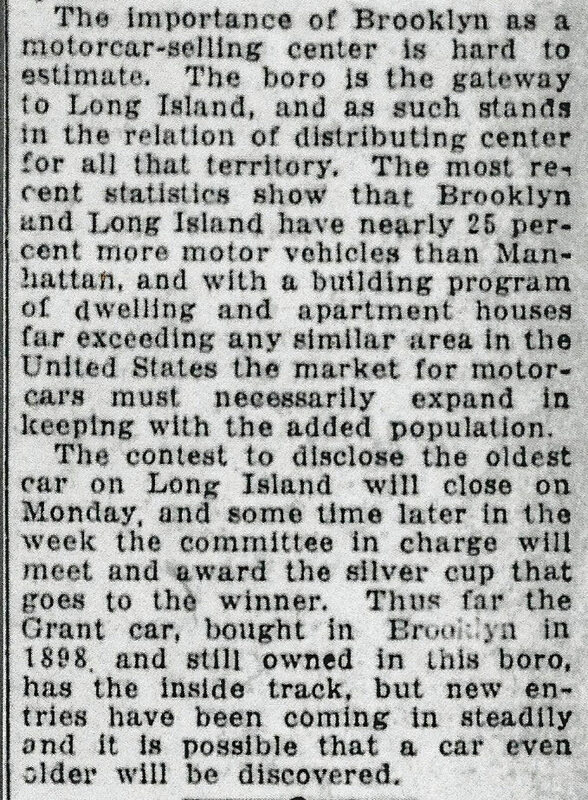 Thus far the Grant car, bought in Brooklyn in 1898 and still owned in this boro, has the inside track." 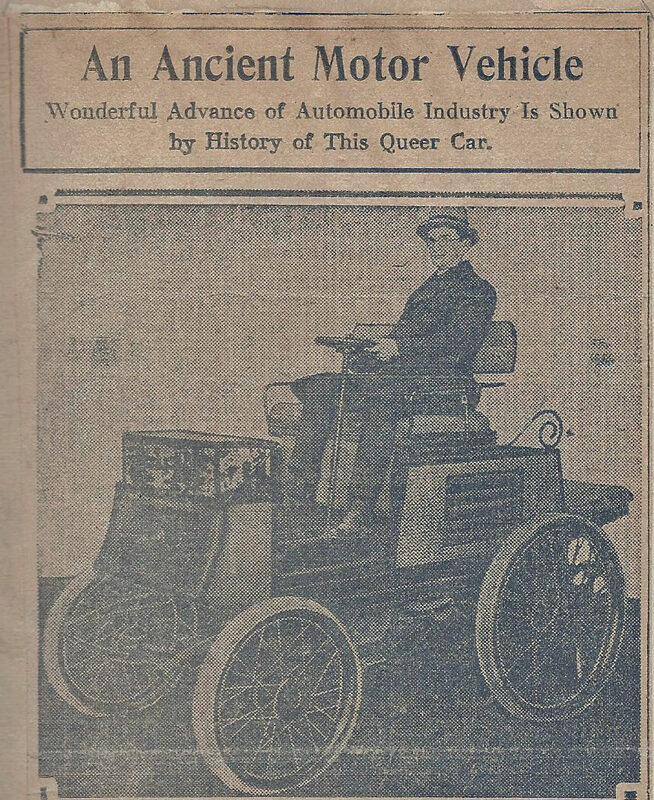 Note from Marion Grant: The vehicle here pictured invented by my Father the late Wm. 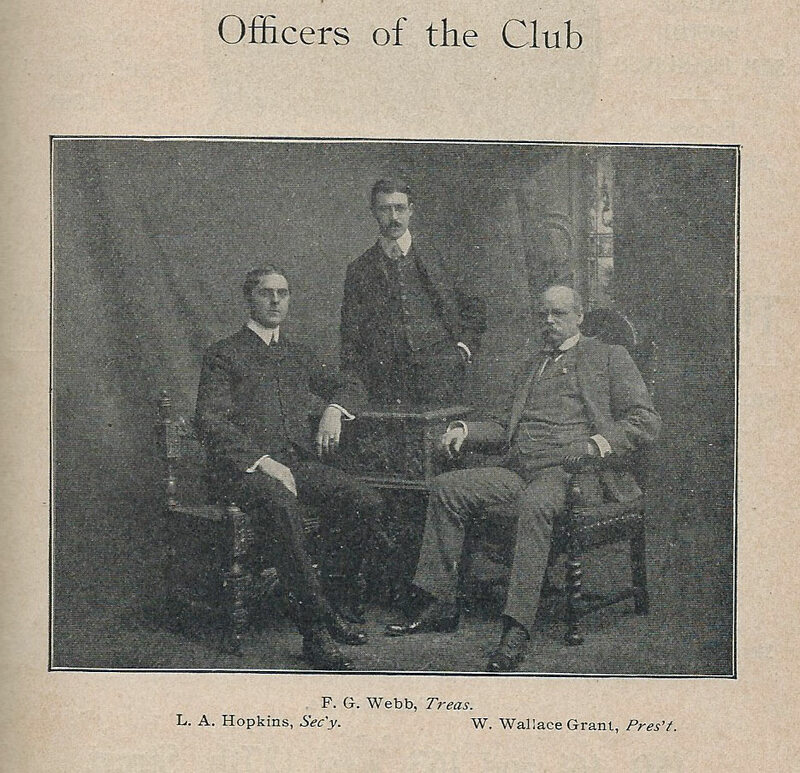 Wallace Grant, one-time President of the Long Island Automobile Club. Following the 1925 Brooklyn Automobile Show, the Grant was displayed at valve-maker A. Schrader's & Son located in Brooklyn. 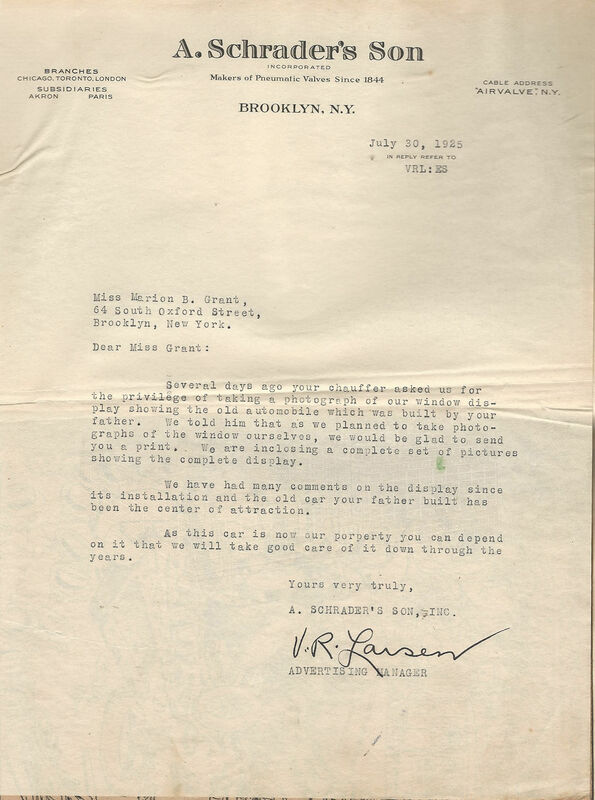 This letter was sent to W. Wallace Grant's daughter Marion Grant. The Grant at the 1925 Schrader Tire Valve exhibit. 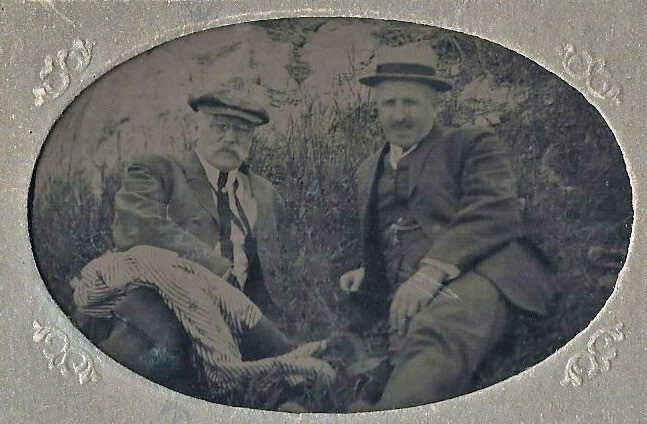 The poster read "Oldest Car on Long Island". Thanks for this interesting post about this for me unknown pioneer. Another one, after the Reese tricycle. How many of these must have existed in those days ... 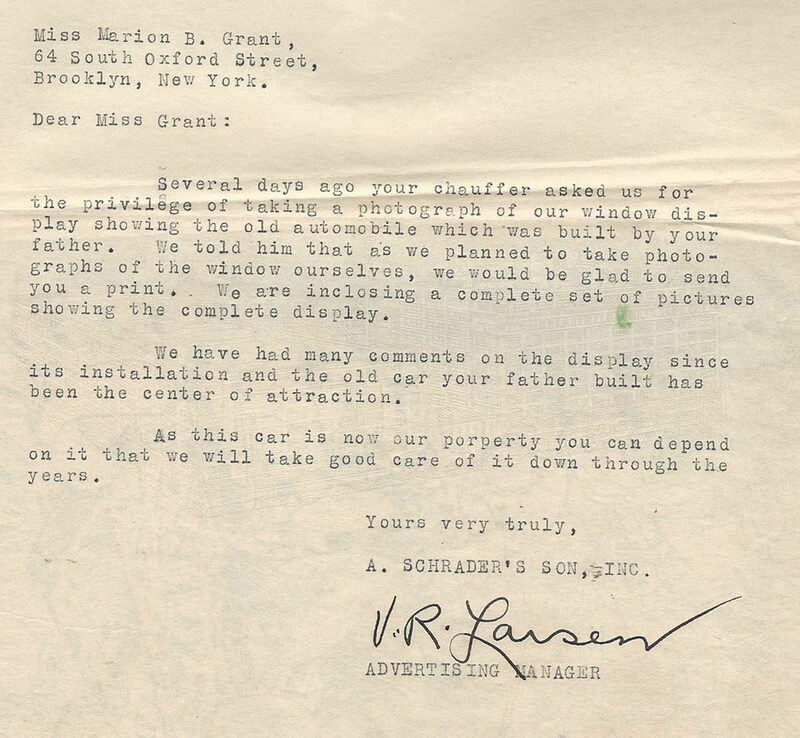 Interesting is the passage in the Schrader letter where they promise to take good care of the car. I understand the firm is still in existence, so I would presume they should know! Great Oldest LI car article..it would be fun if vanderbiltcupraces.com issued a 2017 oldest car on LI challenge… you never know what might come out of the woodwork! Thanks for your newsletter…it’s an enjoyable part of my Sunday morning routine. Glad you located this historic photo and accompanying article. Incredible piece of history!